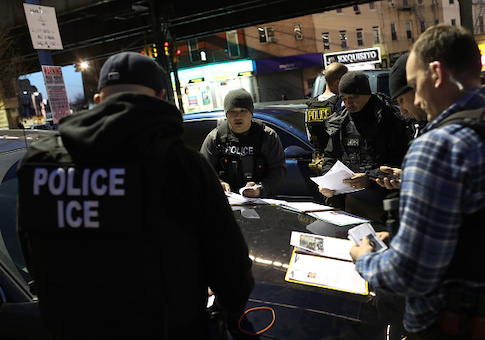 The raid was prompted by several tips, provided to HSI, which indicated that CVE had been knowingly employing illegal immigrants, and that a number of its employees were using fraudulent documents for identification. In January, HSI audited CVE’s I-9 forms, which led to the unearthing of "numerous irregularities," the press release explained. "Man, it was crazy," employee Yessenia Ponce said. "We were working like a normal day. … We just heard screaming, you know, people screaming and stuff. We went out and an officer just said ‘follow my voice, follow my voice.'" This entry was posted in National Security and tagged ICE, Illegal Immigration. Bookmark the permalink.